The team from brand asset management provider Brandworkz were treated to a special Christmas party last week when we headed off to Revolution Karting in Mile End for a spot of motor racing. Divided into two teams, we were pitted against each other in five qualifying races. With competitive spirit flowing, there were some exciting crashes and spins but happily no injuries! The top nine drivers went forward to the final and after a gruelling race, Head of Project Management, Raj Jolly emerged the winner. Software Developer, Rob Wellard was second and our Account Manager Bill Sheehan stood on the podium in third place. 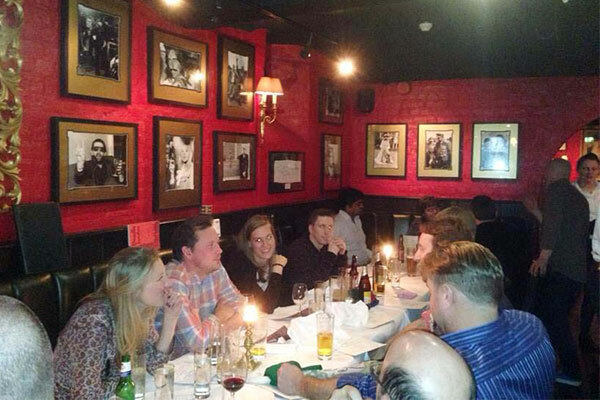 Having worked up an appetite, we devoured our very smart dinner (and rather a lot of drinks) at Boisdale in central London, during which some hilarious Secret Santa gifts changed hands. A big thank you to Revolution Karting and Boisdale for their wonderful service, making it a great Christmas outing. Below are some images from the day and night, we hope you enjoy them.